The magnificent Kensington Palace gates guard an enchanting palace that was once the favoured home of some of Britain's most famous monarchs. Generations of royal women have shaped this beautiful palace and its gardens, exuding feminine elegance with exuberant interiors. 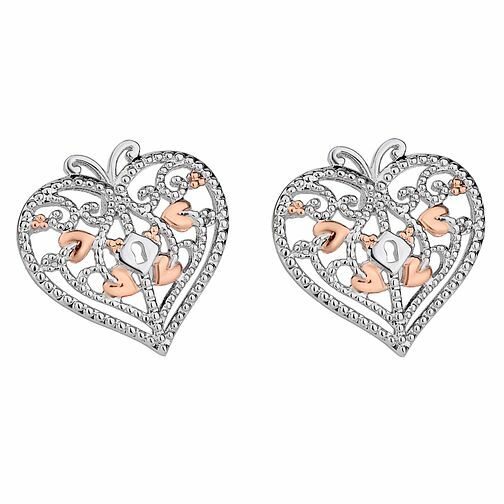 Inspired by the wonderful and intricate detail within the majestic gates, these Clogau Kensington earrings are utterly breath-taking. Created in association with Historic Royal Palaces. Clogau Sterling Silver & Gold Kensington Stud Earrings is rated 5.0 out of 5 by 1.